When it comes to blogging and making money by blogging, very few people are as good at teaching it as my friend and fellow problogger, Darren Rowse. In addition to the daily tips he gives out everyday at Problogger.net, Darren is also the author of two great blogging resources: 31 Days to Build a Better Blog and Copywriting Scorecard for Bloggers. These two eBooks have received rave reviews and helped thousands of bloggers to not only get more traffic and make more money with their blogs, but it has helped them to improve their content and copywriting as well. If you’re looking for a systematic way to get your blogging off on the right track, then this is the book for you. Within the next 31 days. you can have the money making blog that you’ve always dreamed of. 31 Days to Build a Better Blog is a downloadable e-book designed to help you revitalize your blog by giving you 31 tasks that you must do each day. Follow the simple step-by-step instructions and I guarantee you will see positive results. By giving you actionable steps, you are not only learning but you’re also doing. A Task â€“ something to DO that day. Teaching â€“ each day you’ll be given great instruction on both the WHY and HOW of the task of the day. 31 Days to Build a Better Blog has been downloaded by many thousands of bloggers â€“ discover more about this best selling eBook here. This brand new eBook is designed to help you take the content featured on your blog up a notch. I’ve known Darren for many years. He is the real deal and he’s also the original problogger. 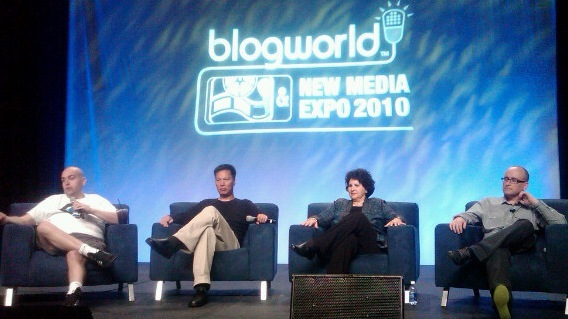 We have shared the stage at every Blog World Expos and he always been a fountain of knowledge. What’s more, he freely shares that knowledge on his blog and his books. 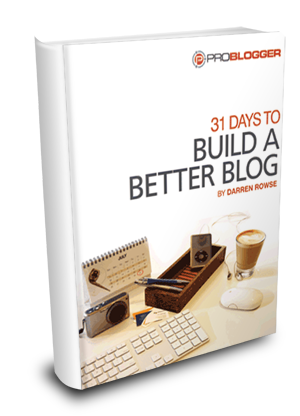 Right now, Darren has 31 Days to Build a Better Blog on sale for only $19.95. However, I have a coupon code that will give you 25% off that already low price. 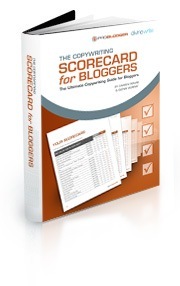 The coupon also works for Copywriting Scorecard for Bloggers, which is selling for only $29.97. Just enter november25 at the checkout to receive your discount. As you no doubt guess from the code, the coupon is good for this month only so be sure to order before the month end.